A Christmas gift of flowers from OMNI FLOWERS in BRAMPTON, ON is sure to make any Christmas or Holiday celebration 'merry and bright'! Along with our premium fresh flower choices, we offer decorative Christmas trees, Christmas gift items, and Christmas cards. Shop early for our best selection of beautiful holiday poinsettia plants with unique colors and sizes available. Choose an eye-catching Christmas centerpiece, contemporary winter vase design, or a charming holiday basket of fragrant Christmas flowers and evergreens. 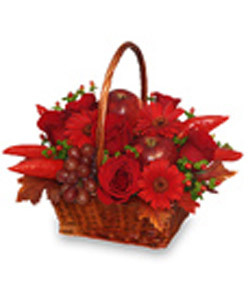 Call OMNI FLOWERS in BRAMPTON, ON (ON) directly or send Christmas gifts of flowers online, along with your warmest holiday wishes for Christmas, December 25th.